The chess olympiad in Khanty-Mansiysk, Russia is in full swing, moving into the second half. The Open section has 149 teams listed, nearly 750 players. The women section has 115 teams, roughly 575 players. Head and shoulders above all players stands Vasyl Ivanchuk. The 41-year old Ukrainian grandmaster smashed everything coming his way so far, winning five straight games and amassing a giant 3357 performance rating. On Tuesday, Ivanchuk added his sixth victory against the Georgian GM Baadur Jobava. His team leads the olympiad after seven rounds, having won six matches and drawing one. The 11-round olympiad concludes Sunday, October 3. 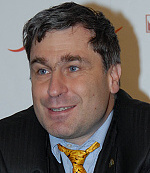 Ivanchuk was born in the same year as the world champion Vishy Anand and they are good friends. But unlike the Indian grandmaster, he sticks his neck out in an event considered to favor young players. Playing the top board is always a challenge. The American Hikaru Nakamura, 22, is doing well with a 4.5 - 0.5 score, but the world's top-rated grandmaster Magnus Carlsen of Norway, 19, is struggling at 50 percent with two wins and two losses. How come Ivanchuk doesn't even blink and collects his points with a solid, steady performance? 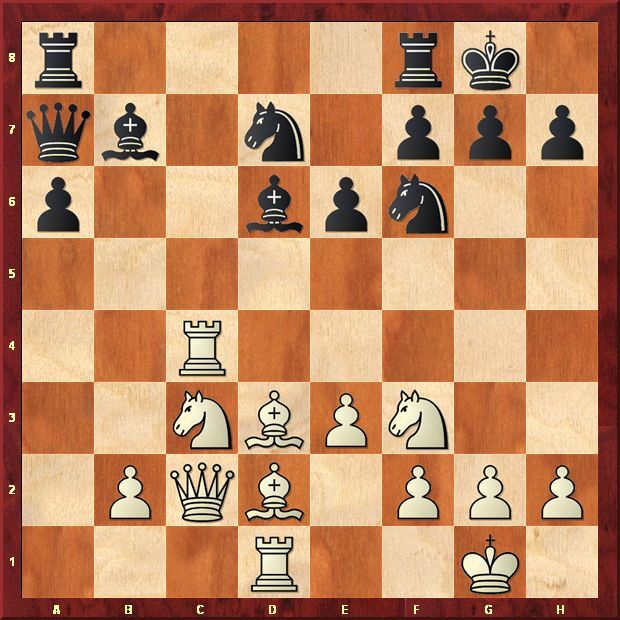 He does it with his incredible opening knowledge, sharp and unusual tactics and subtle positional play. Ivanchuk's win against one of the best defenders, Peter Leko of Hungary, is a positional masterpiece. William Steinitz, the first official world champion, loved to have his pawns on the original squares, since any pawn move weakens the position. It was a sound idea, not overlooked by world-class players such as Bobby Fischer, Ulf Andersson or Michael Adams. 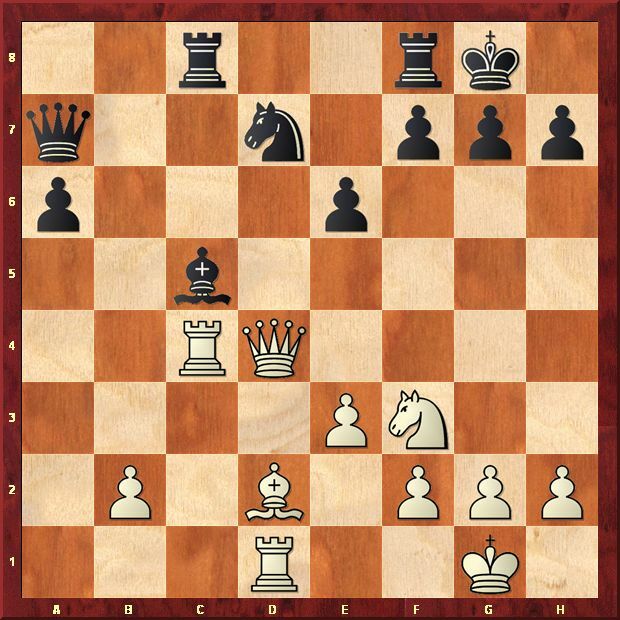 Ivanchuk's wonderful illustration would have made Steinitz happy. 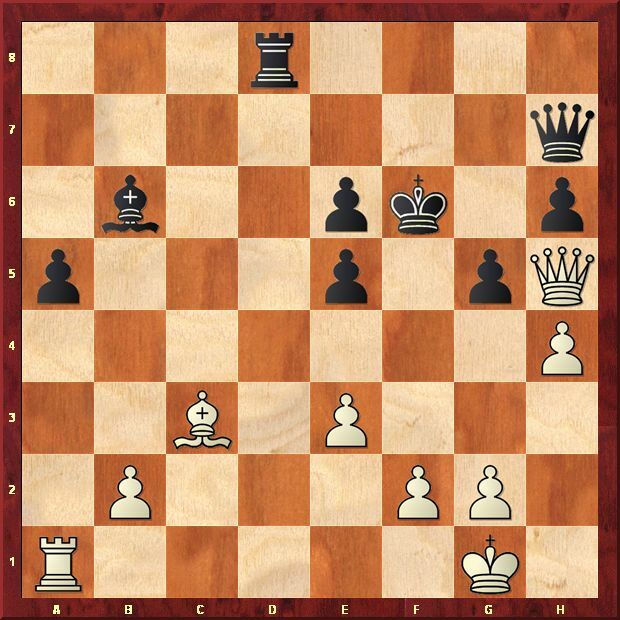 In the Semi-Slav Meran defense, using tactical themes and a delicate queen maneuver, the Ukrainian GM created many pawn weaknesses that Leko was unable to cover. 36...Qg6? 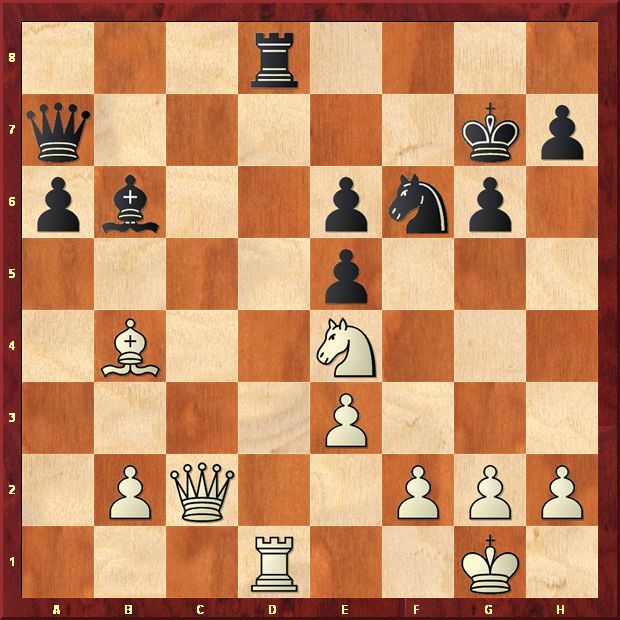 (Blundering, but after 36...Rg8 white has two ways to conclude the game: 37.Bxa5 Bxa5 38.Rxa5 Qb1+ 39.Kh2 Qg6 40.hxg5+ hxg5 41.Qxg6+ the rook endgame is hopeless; or 37.b4 axb4 38.Bxb4 Qg6 39.Qf3+ Qf5 40.Qb7 gxh4 41.Be7+ Kg6 42.Qxb6 h3 43.e4 Qg4 44.g3 wins.) 37.Bxe5+ Kf7 38.Qf3+ Kg8 39.Qc6 (The black bishop has nowhere to go and 39...Bxe3 40.fxe3 gxh4 41.Kh2 is not good enough.) Black resigned. Chess Olympiads were always special for the late Bill Hook. He played in 17 of them for the British Virgin Islands, winning one individual gold medal on the top board in 1980. The Maryland master and artist was honored on Saturday, Sept. 26, at the U.S. Chess Center in Washington , D.C. in a blitz tournament. GM Mark Paragua won the event with a 15-1 score. Bryan Smith and Oladapo Adu shared second place, scoring 11.5 points. The solutions of the last week's Chess Puzzles are here.